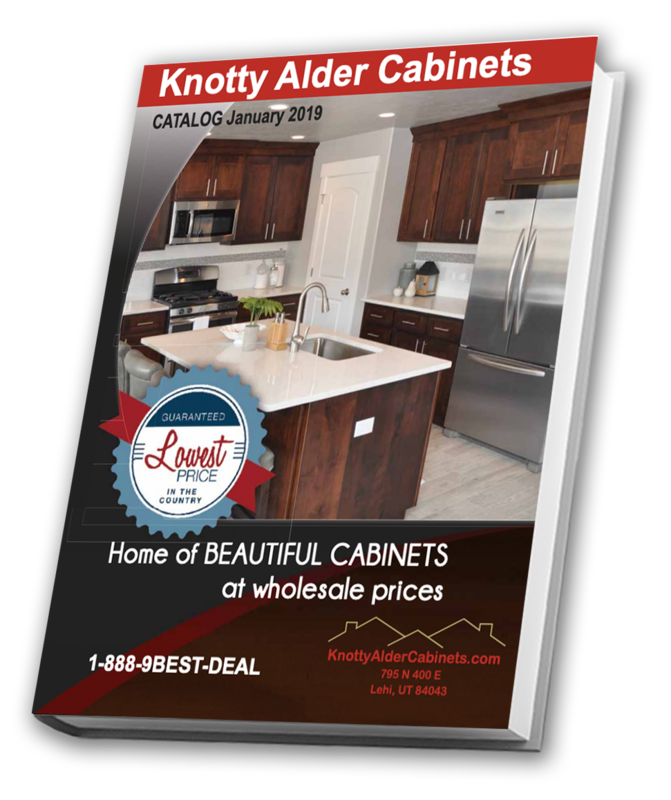 Watch this video tutorial to see how to install a corner base cabinet assembly with a single door from Knotty Alder Cabinets. Empty the bag of hardware on a flat surface and sort. Be careful not to lose any pieces. There should be 18 cam-lock screws, 18 cam-lock nuts, 8 wood screws and 12 shelf pins. Lay the two skinnier rectangular panels and one of the large rectangular panels on a flat working surface (these are the side panels and one of the back panels). Drill the cam-lock screws into the pre-drilled holes on the top, side and bottom of all three panels. Slide one of the irregularly-shaped panels that is the length of the side panel and the height of the back panel into the side panel. This is the bottom panel. Carefully place a cam-lock nut in each hole connecting the bottom and side panels with the cam-lock screws. Repeat steps 5-7 on the other end of the side panel with the other irregularly-shaped panel. This is the top panel. Slide the back panel with cam-lock screws already placed into the side panel that is connected to the bottom panel. Place two cam-lock nuts into each hole with cam-lock screws and secure the cam-lock nuts with a screwdriver. Slide the other back panel into the top and bottom panels. Insert cam-lock nuts on the side panel into the cam-lock screws and secure with a screwdriver. Flip the cabinet to install the remaining side panel. Place the remaining side panel on the back, front and bottom panels. Open the other box that came in the shipment and lay on a flat surface. This should include the face frame. Drill a cam-lock screw into each of the the pre-drilled holes on each corner of the frame. Slide the frame into the pre-drilled holes on the front of the cabinet. Screw four cam-lock nuts into the cam-lock screws on the side panels, securing the door frame to the cabinet. Screw six cam-lock nuts into the bottom panel of the cabinet. Flip the cabinet so that it is sitting on one of the side panels. One of the back panels will be facing upwards. Drill two pilot holes on the side of the panel that is connected to the top panel. Drill two more pilot holes on the side of the panel that is connected to the bottom panel. Drill wood screws into each of the four pilot holes. Flip the cabinet so it is sitting on the other side panel, and the other back panel is facing upwards..
Repeat steps 7-9 on the other back panel. Insert shelf pins and adjust the shelves found inside the box, making sure all four pins are at the same height.